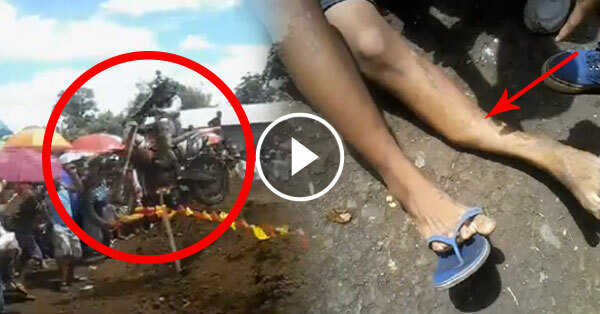 Bukidnon, Philippines -- Some civilians and one unlucky boy badly got hurt at the motocross race celebrating 50th-day of Don Carlos Bukidnon. The uploader of the video said that one of those racers loses control to his 250cc Motocross Bike and jumped off out of the track hitting some civilians watching. One of the unluckiest civilians is a Boy who suffered seriously damaged and got badly injured his knees feel so much pain after he was hit. Organizer and the medical team of the said event take over the accident happened.